Jonathan and Katie signing in attendees. Waiting for the meeting to begin. 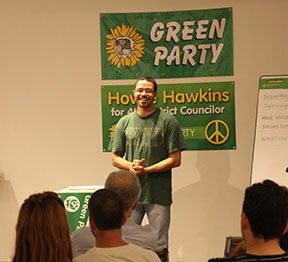 Check out the historic display of local Green campaigns. 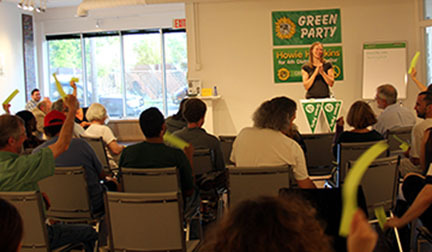 Syracuse Greens unanimously adopt 2013 Platform. Thank to you Jessica Maxwell for facilitating the meeting and the voting. 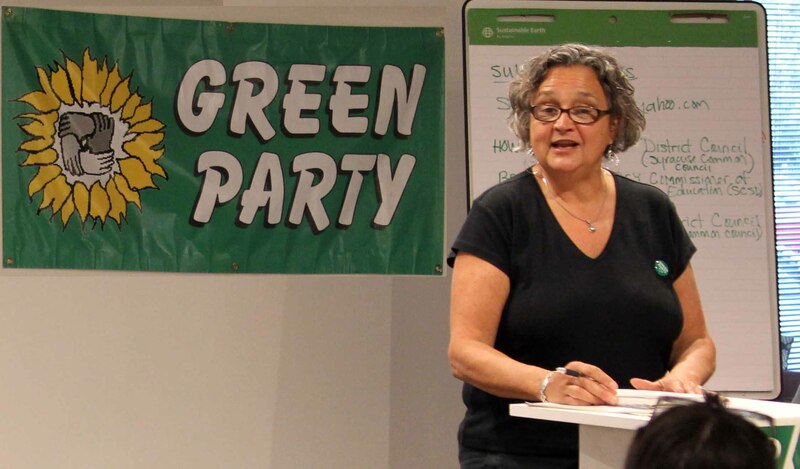 Barbara Humphrey, designated as 2013 Green candidate for Commissioner of Education. 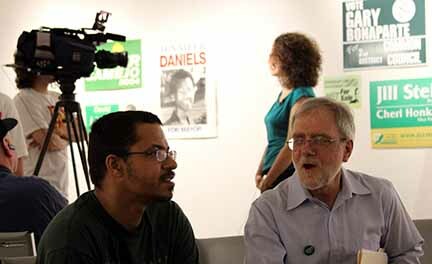 Albert Sales (left), 2013 Green candidate for 3rd District Councilor and Howie Hawkins (right) for 4th District Council candidate.